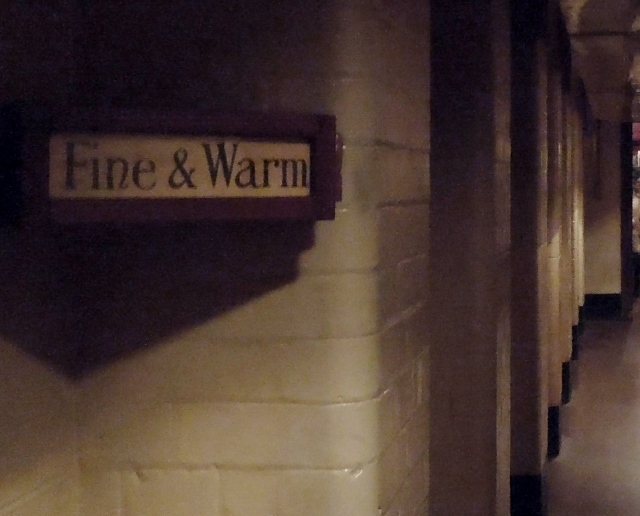 Those were desperate times, and you feel that in Britain’s World War II command center, the underground Churchill War Rooms (Cabinet War Rooms). This converted basement, blocks from Parliament and 10 Downing Street, sheltered and hid the most crucial work of the British military and government from 1939 until the war’s end in 1945. It’s now a don’t-miss sight in London. 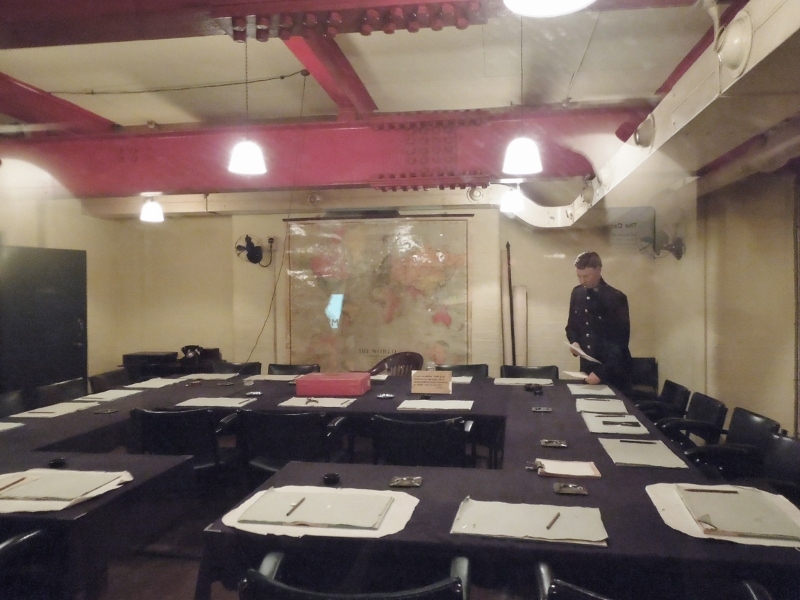 Winston Churchill met with his War Cabinet in this underground room. 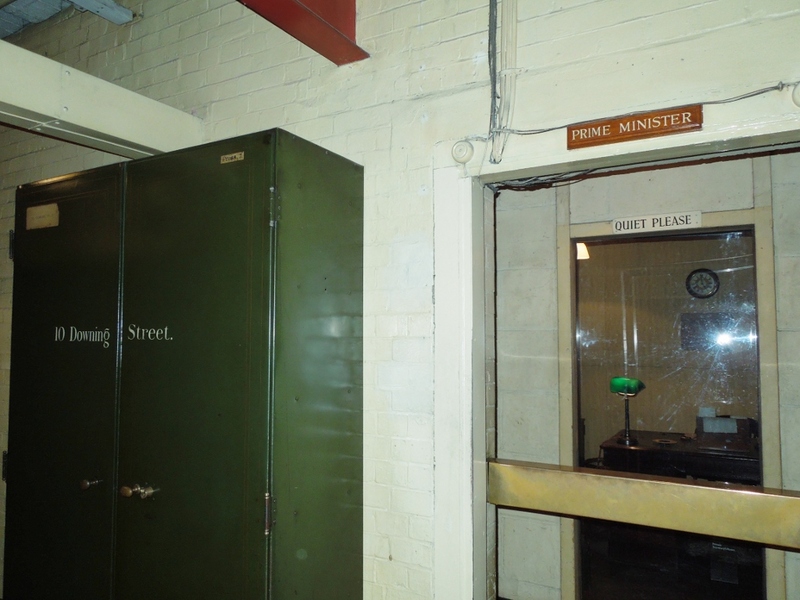 Prime Minister Winston Churchill and his staff, the War Cabinet and the Chiefs of Staff often worked in this reinforced London basement, and they took refuge here when the bombs fell on the city. Some workers lived here, men and women who worked with codes, typed, tracked convoys on maps and guarded this headquarters. They carried their gas masks as they moved from room to room, and the women who worked at the switchboard had special gas masks so they could continue routing phone calls. A sign indicates weather above ground. Some workers spent so many days underground they risked their health. The basement was fortified by covering it with reinforced concrete, but a direct hit from a large bomb could have destroyed it. Although the concrete was poured in full view of passersby, the site of this nerve center remained a secret, which was critical for the whole country. Nobody who knew its location could mention it. Next Thursday, I’ll post more about this site and describe two rooms vital to winning the war. A don’t miss site, which I missed. There are too many fascinating places to see in London!